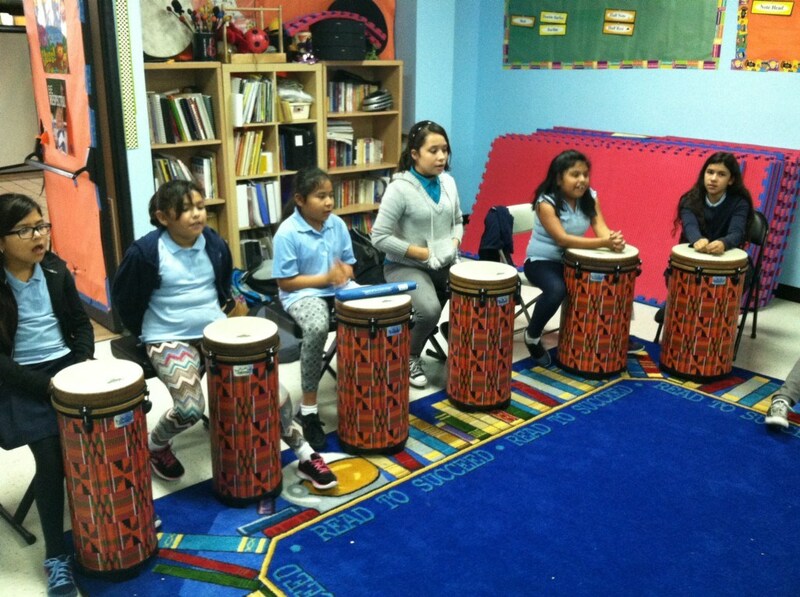 AIA provides music education and fosters a love for music for all students. Our curriculum is built on multiple music approaches (Kodaly, Orff Schulwerk, and Dalcroze Eurythmics) and incorporates the National Standards for Music Education. Through active singing, listening, speaking, moving, creating, and analyzing, students will gain a true music education experience. 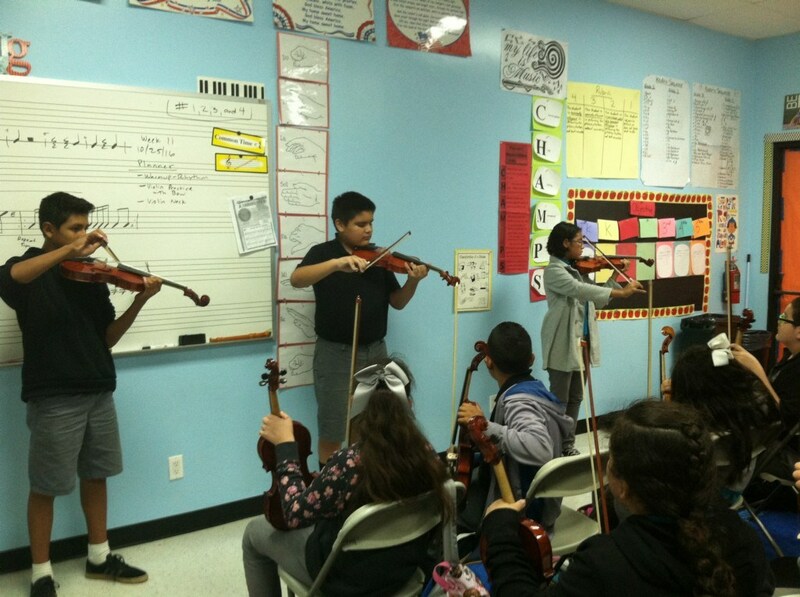 We believe in developing our students to be a complete musician. Our development begins at an early stage. The skills developed begin with simple tasks and as knowledge grows, skills are developed in a sequential manner. We start with the voice (a natural instrument everyone possesses) and then preceded with instrumental training. 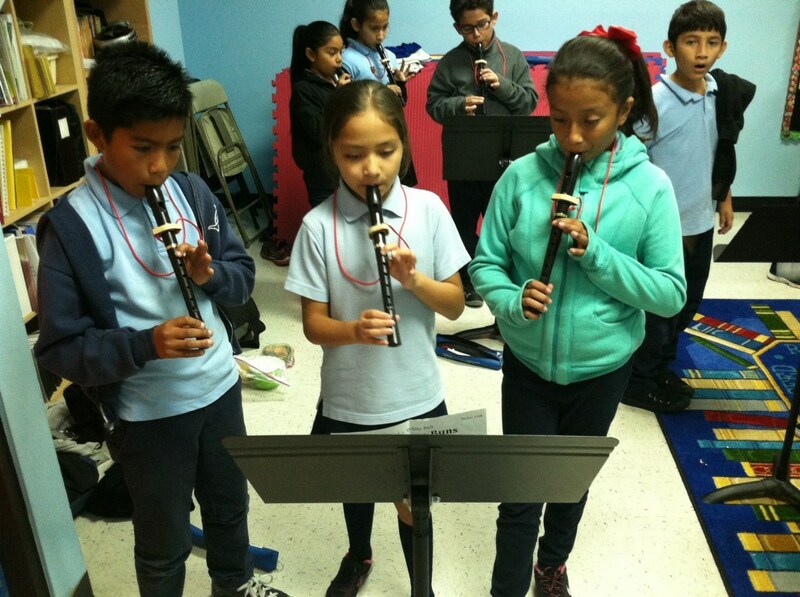 Piano, orff instruments, recorder are among other instruments students will learn. Skills learned are sight singing, ear training, dictation, and developing memory. These skills are developed using folk songs and games from the American culture. Our goal is to develop the students music skills enough to pass a music fundamentals college course. Students that show interest and have an understanding of the music skills, have an opportunity to take part in an additional advanced music class. This class focuses more on the development of the musician as a performer. 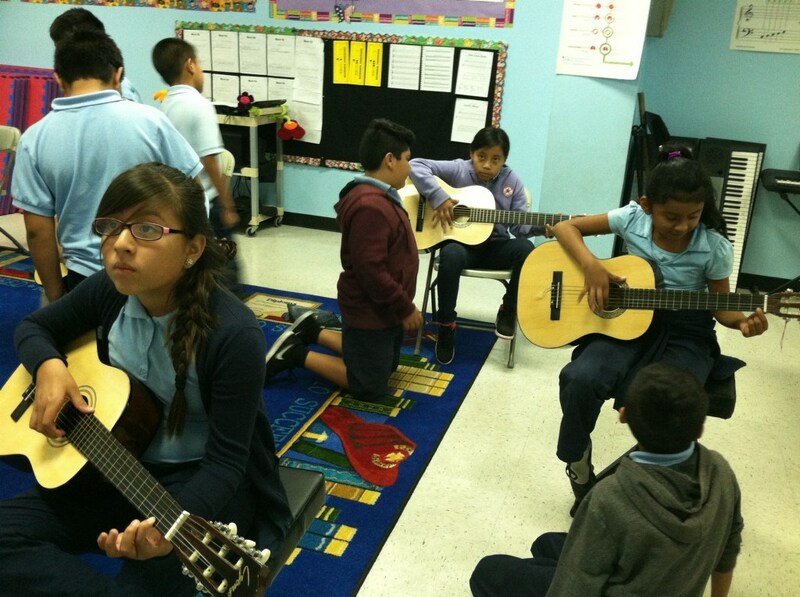 This special class focuses on additional instruments like guitar, violin, & piano. 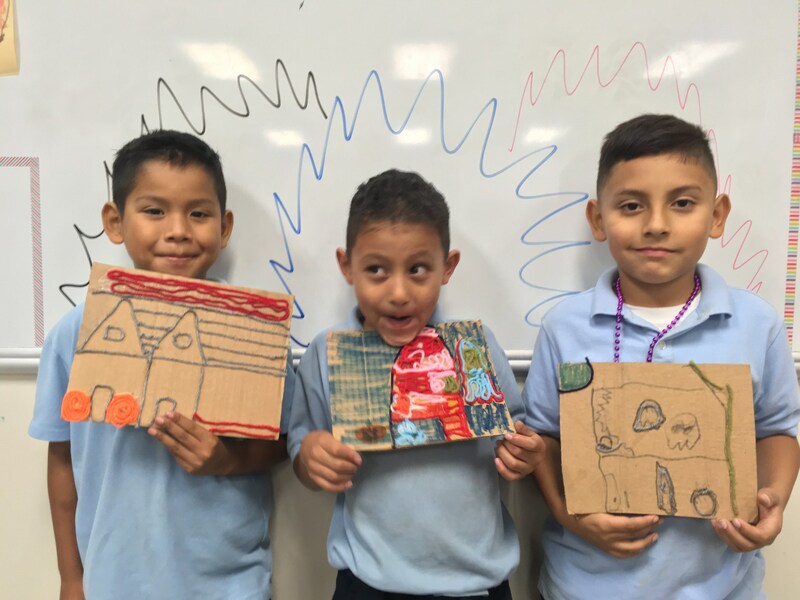 The AIA visual arts curriculum is designed to give students a well-rounded standard based arts education while encouraging each student’s creativity and self–expression. 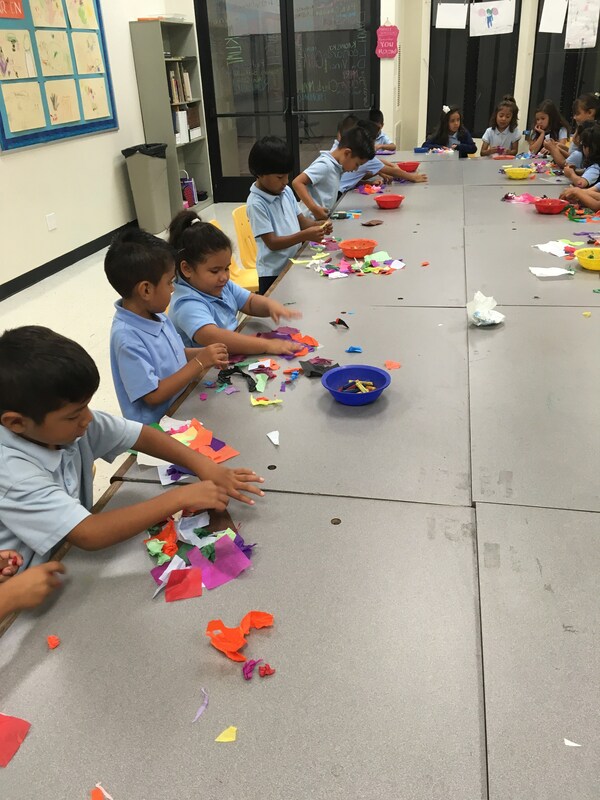 AIA art lessons incorporate contemporary arts, art history, literacy, critique a work of art using art terms and hands on experience with a variety of art materials and techniques. We value process based-experience versus emphasizing on a finished product. We want to foster confidence for students to try new methods and develop their skills as artists in a non-threatening manner. 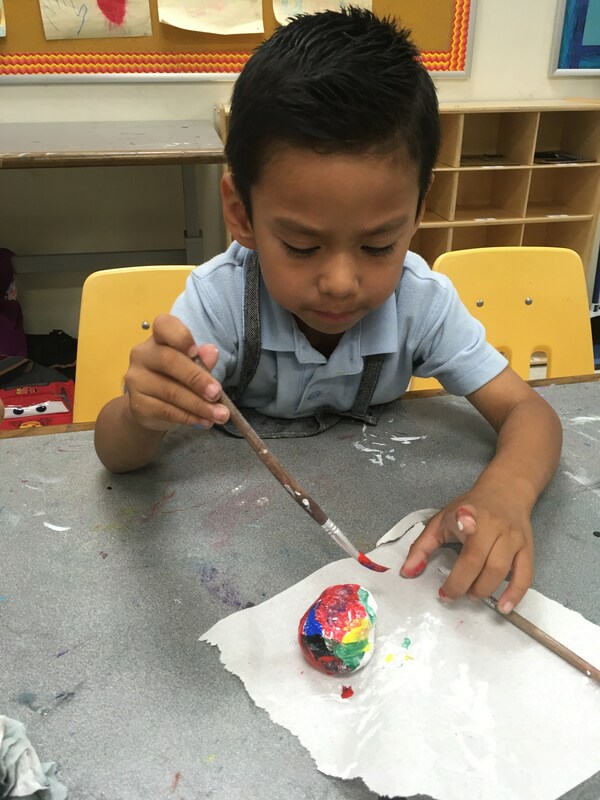 Grades are based on participation, effort, creativity, craftsmanship, use and care of materials, understanding and application of art concepts and lesson objectives, growth and behavior. Art instruction at AIA is multi-media based in that students experience different types of paints—acrylics, watercolors, tempera; as well as different drawing instruments—pencils, color pencils, charcoal, pastels, sharpies; they also use different types of paper for collages; and they create 3D art through the use of clay and recycled materials. 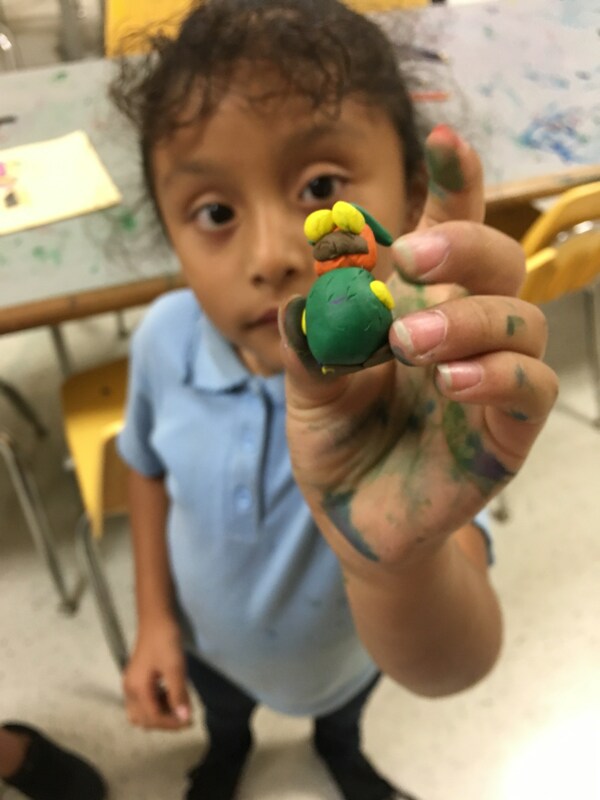 Students learn about master artists throughout history and artistic movements, --impressionist, cubism, expressionist, abstract, pop art, etc. At AIA, dance activities instill in students an appreciation for dance through direct kinesthetic experiences of different dance forms. According to the VAPA Framework, exposing students to a variety of dance experiences affords them opportunities to construct personal and cultural understandings and insights, develop dance skills and knowledge, as well as reinforce academic concepts. 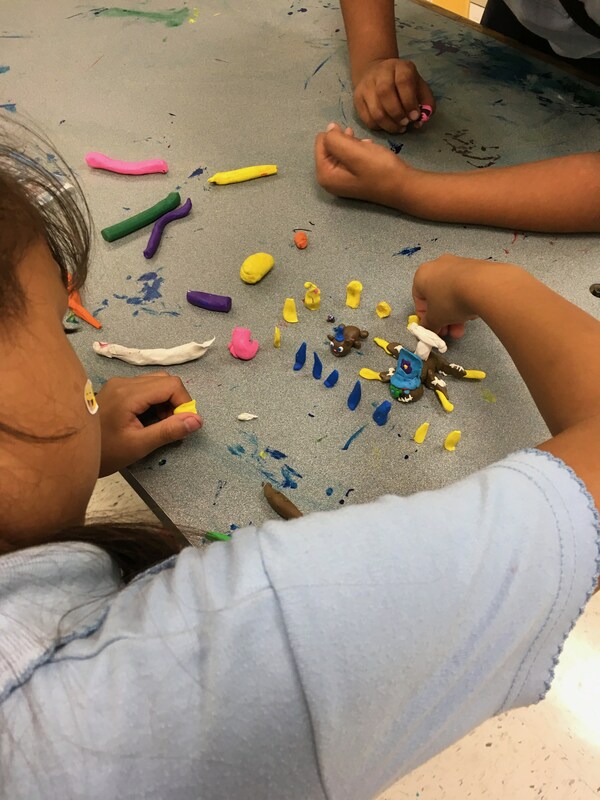 As an example, a visual improvisation involving simple shape elements can help expand vocabulary for English learners who can connect the physical representation of a shape to the words associated with it. The program will provide an arena for students to excel and boost self-confidence while offering students with different learning styles a kinesthetic experience that can produce breakthroughs in the classroom. There are three Intensive Programs available at Arts in Action. Music, Art and Dance. The Intensive program provides students who have been identified as having high ability in either music, art, or dance a more advanced and specialized small group instruction. Students in this program will be considered school ambassadors and they will be held to a high standard for behavior, work ethic, attendance, and quality of work.